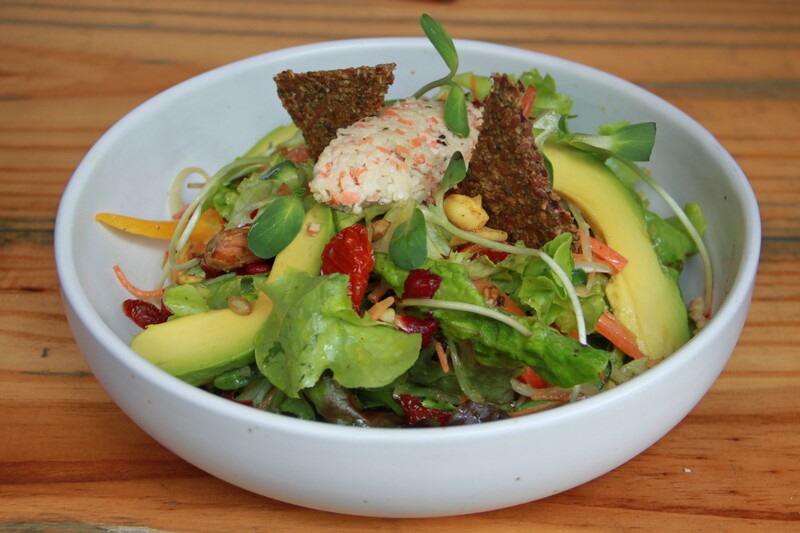 Organic mixed lettuce, sunflower sprouts, beetroot, carrot,celery, avocado, sun-dried tomatoes tossed in Rasayana signature mustard and beetroot dressing served with activated almond, carrot, spiced in cleansing herbs of oregano, thyme and rosemary,activated curry nuts and seeds and sun-dried tomatoes. Organic Cos Lettuce, fresh diced tomatoes tossed in live homemade creamy tangy nut-free caesar dressing topped with homemade live flaxseed and ctivated almond croutons , vitamin B rich nutritional yeast cheese parmesan flakes, and coconut bacon! Refreshing pieces of Thai Pomelo, in a zesty creamy orange sesame dressing tossed with raisins and sesame. Shredded beets, mixed greens, ginger chopped onions. Served with mustard dressing. A Thailand favourite, made with green papaya, orange juice , garlic, chilli, string beans, tomatoes, and sweet ripe papaya. Shredded kale, carrot, cabbage, onion, raisin, sesame seed, avocado, tossed in live homemade honey miso dressing. 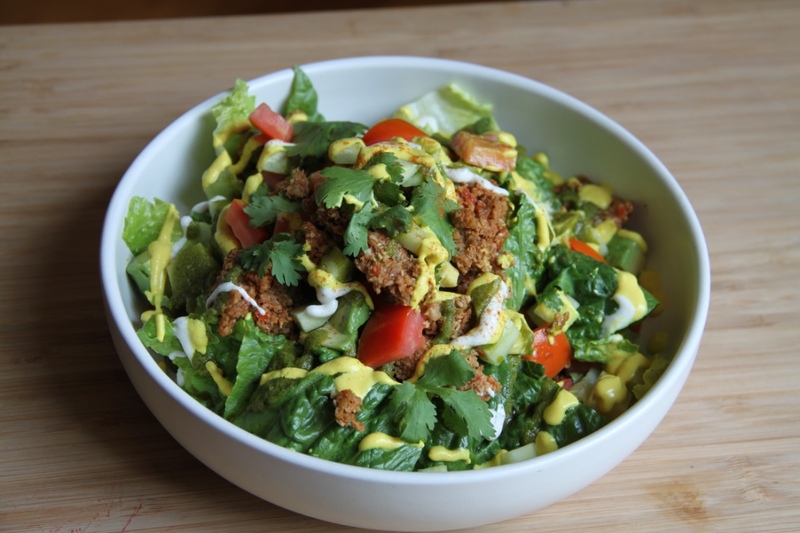 A fiesta in a bowl.Cos Lettuce, cucumber, tomato, avocado,shallot, spiced sunflower taco mince, cilantro,chimichurri dressing, cashew sour cream.